Spring is here and so are the opportunities to set a pretty table — Mother’s Day, Baby Showers, and Wedding Showers! 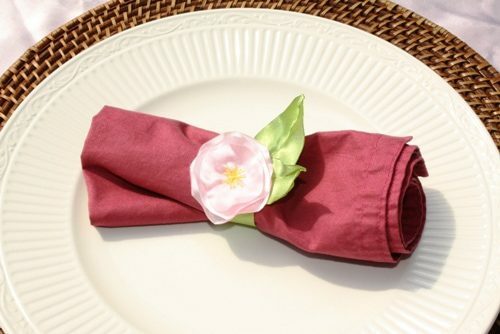 Add a little pizazz to your place settings with some inexpensive (but beautiful) napkin rings. Although you can create these napkin rings using my original satin flowers, these circular ones are a bit easier and quicker to make since they don’t require nearly the same number of petals. With these step by step instructions, you should have a set of napkin rings in no time. Trace and cut out three circles of different sizes. 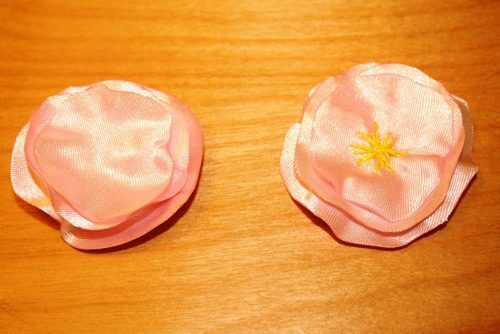 To make it easier, trace your circular template three times onto the costume satin for each flower and cut out. Then, trim two of the circles to make them smaller. If you want, you can fold the circles into quarters and trim around the edges. Freehand two leaves per flower out of the green satin. Light the candle. Hold the edge of each satin circle close to, but not in, the flame. This will melt the edges of the satin to help prevent it from fraying. Then, to give the circle a little more texture, hold the circle above the flame in various spots to pucker the satin slightly. Stack the three circles with the largest on the bottom and the smallest on the top. Use a needle and colored thread to stitch the circles together and create the center of the flower. Use the candle to seal the edges of the green leaves just as you did for the flower circles. 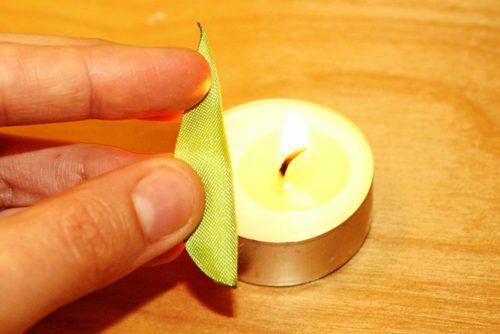 To add additional dimension to them, fold each leaf in half lengthwise and pass the fold along the candle flame to create a line. Be very careful not too burn your fingers — this is a little more difficult because the folded leaves are thinner than the flower circles. Use hot glue to affix the leaves to the backside of the flower. Cut a length of ribbon that is large enough to wrap around the napkins you plan to use. Use hot glue to glue the ribbon into a circle. Add some hot glue to where the two ends of ribbon meet and press the backside of the satin flower onto the glue. Hold firmly until the glue cools and hardens. 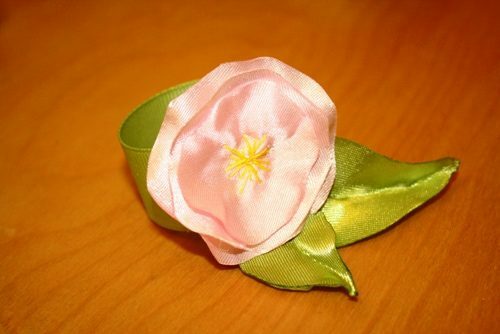 DIY Satin Flowers – Make these flowers as an alternative for the napkin rings. Or, use some of both! 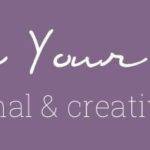 DIY Cloth Napkins – Get the look you want with custom cloth napkins. DIY Braided Vine Napkin Rings – Use this braided vine for your napkin rings instead of the grosgrain ribbon. 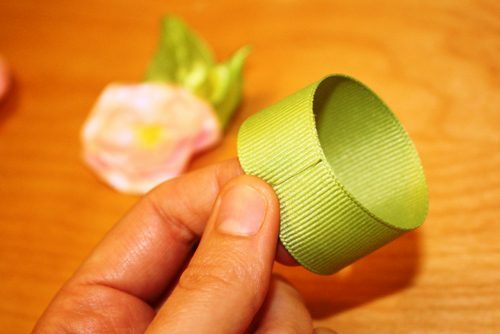 DIY Felt Cup Identifiers – Make these cup identifiers a little bit more fancy by using satin flowers instead! How do you set a pretty table for special occasions?